Dr Valentina Puntmann is Deputy Head of Department and senior clinical investigator with subspecialty interest in mutimodality cardiovascular imaging and conduct of clinical trials using imaging biomarkers. Her research projects focus on the development of novel imaging biomarkers for the detection of cardiovascular injury, supporting risk stratification, prevention and therapy. She is chief investigator of the International T1 Multicentre CMR Study on validation, standardization and translation of T1 mapping imaging for clinical use. She has authored over 50 papers and over 100 conference presentations. She has been lecturing on cardiovascular imaging and translational medicine on undergraduate and postgraduate levels, and has trained >30 fellows to SCMR level II or above. ​T1 mapping by CMR is emerging as a quantifiable biomarker supporting the non-invasive characterisation of diffuse myocardial disease, which underscores the underlying pathophysiology of non-ischaemic cardiomyopathies. 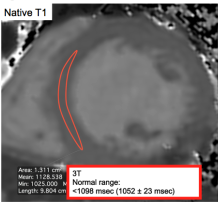 We undertook the International T1 Multicentre CMR Study, focusing on validation, standardization and translation of T1 mapping imaging for clinical use. Myocarditis is a major cause of cardiac morbidity and mortality and a condition with spectrum of challenges from establishing the diagnosis to effective treatment. Endomyo-cardial biopsy remains the diagnostic gold standard, despite its invasiveness, low diagnostic yield and a paucity of consequential management path-ways. CMR based on Lake Louise criteria partially provides a non-invasive diagnostic alternative allowing confirmation, but not exclusion of disease. T1 mapping now allows a high diagnostic accuracy in confirmation and exclusion of disease, staging and activity of disease. Recent scientific advances have considerably improved our insight into the mecha-nisms and potential thera-peutic targets in myocarditis and inflammatory cardio-myopathies. 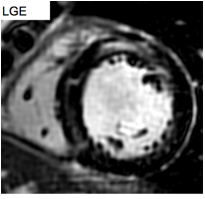 Cardiac magnetic resonance based on T1 mapping and late gadolinium enhancement may support a modern diagnostic pathway identifying patients that might benefit from anti-inflammatory intervention. ﻿1. Puntmann VO, Carr-White G, Jabbour A, Yu CY, Gebker R; Kelle S, Hinojar R, Doltra A, Varma N ,Child N; Rogers T; Arroyo Ucar E, Goodman B, Suna G; Khan S; Dabir D, Herrmann E, Zeiher AM, Nagel E. T1-mapping and outcome in nonischaemic cardiomyopathy: all-cause mortality and heart failure. JACC Cardiovascular Imaging 2016;9(1):40-50. 2.Hinojar R, Varma N, Child N, Goodman B, Jabbour A, Yu CY, Gebker R, Doltra A, Kelle S, Khan S, Rogers T, Arroyo Ucar E, Cummins C, Carr-White G, Nagel E, Puntmann VO. T1 Mapping in Discrimination of Hypertrophic Phenotypes: Hypertensive Heart Disease and Hypertrophic Cardiomyopathy: Findings From the International T1 Multicenter Cardiovascular Magnetic Resonance Study. Circ Cardiovasc Imaging. 2015 Dec;8(12). 3. Hinojar R, Foote L, Arroyo Ucar E, Jackson T, Jabbour A, Yu CY, McCrohon J, Higgins DM, Carr-White G, Mayr M, Nagel E, Puntmann VO. 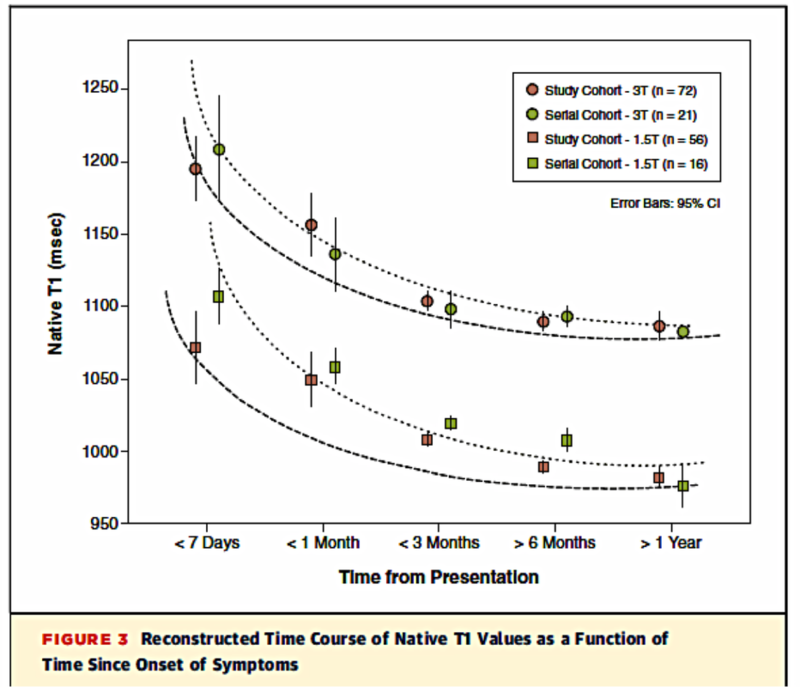 Native T1 in discrimination of acute and convalescent stages in patients with clinical diagnosis of myocarditis: a proposed diagnostic algorithm using CMR. JACC Cardiovasc Imaging. 2015;8(1):37-46. 5. Puntmann VO, D'Cruz D, Smith Z, Pastor A, Choong P, Voigt T, Carr-White G, Sangle S, Schaeffter T, Nagel E. Native myocardial T1 mapping by cardiovascular magnetic resonance imaging in subclinical cardiomyopathy in patients with systemic lupus erythematosus. Circ Cardiovasc Imaging. 2013;6(2):295-301. 6. Puntmann VO, Voigt T, Chen Z, Mayr M, Karim R, Rhode K, Pastor A, Carr-White G, Razavi R, Schaeffter T, Nagel E. Native T1 mapping in differentiation of normal myocardium from diffuse disease in hypertrophic and dilated cardiomyopathy. JACC Cardiovasc Imaging. 2013;6(4):475-84. A method for differentiation of normal myocardium from diffuse disease using T1-mapping in nonischemic cardiomyopathies and others (based on PR-MS 33.297, PR-MS 33.837, PR-MS 33.654).